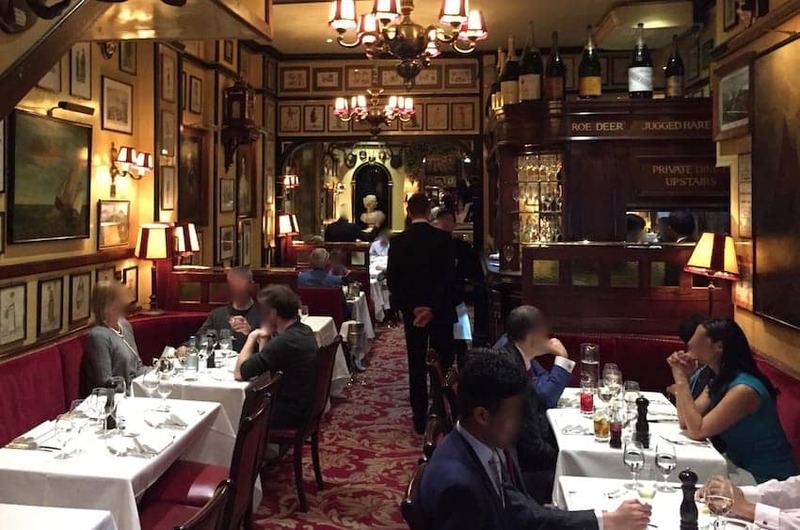 Said be the oldest restaurant in London, Rules has a history of more than 200 years and is one of the most celebrated eating houses in the country, retaining a luxurious ambience with plush furnishings and paintings. It is located in a heritage setting close to the gentrified Covent Garden market buildings. Rules serves traditional English food specialising in classic game dishes, oysters, pies and puddings. There is also an excellent cocktail bar upstairs too, perfect for a pre or post dinner visit.